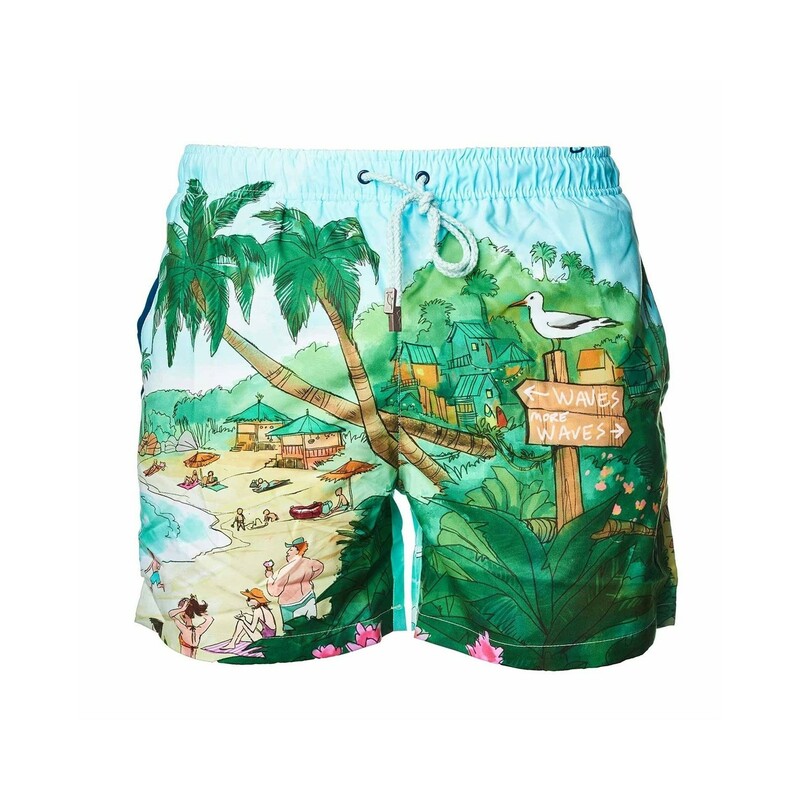 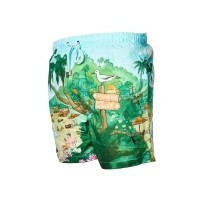 Emblazoned with a full colour print designed by the endlessly talented artist Gracia Artigas, these swim shorts are a riot of colourful illustrations, which encapsulate everything we love about the beach lifestyle. 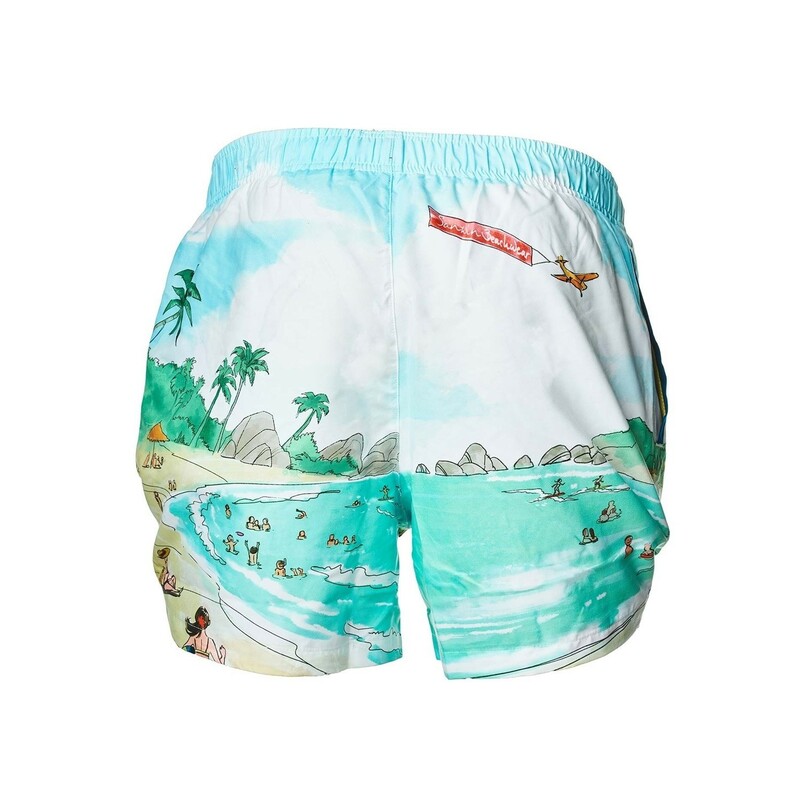 These exclusive designer items bring a sense of fun to your summer wardrobe, while also being a stylish choice that is sure to get you noticed. 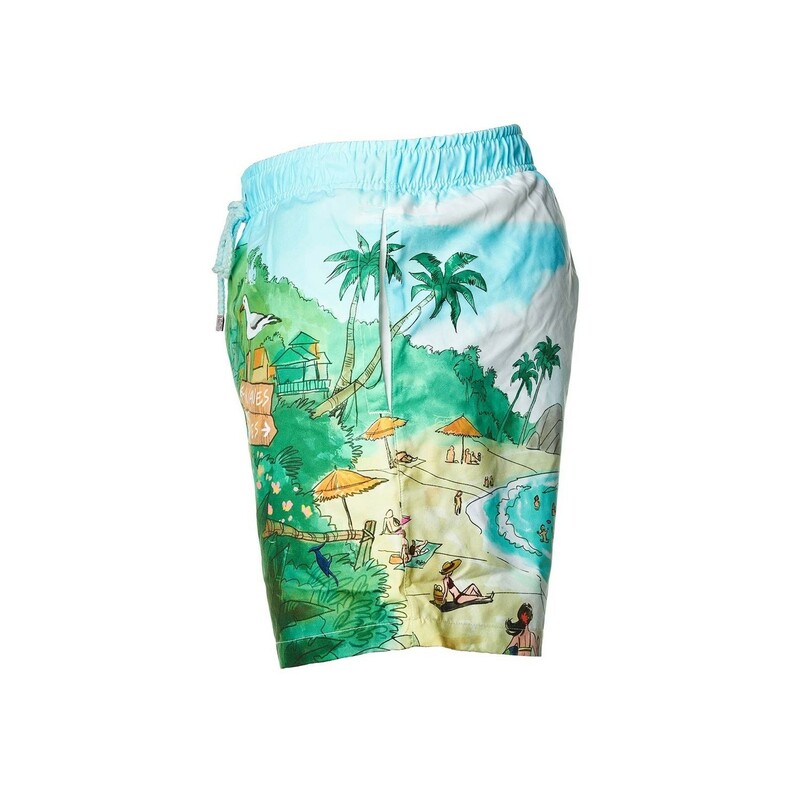 The tropical scene is sure to put anyone in the holiday mood, and will provide you with the confidence and striking appearance you need to stand out from the crowd. 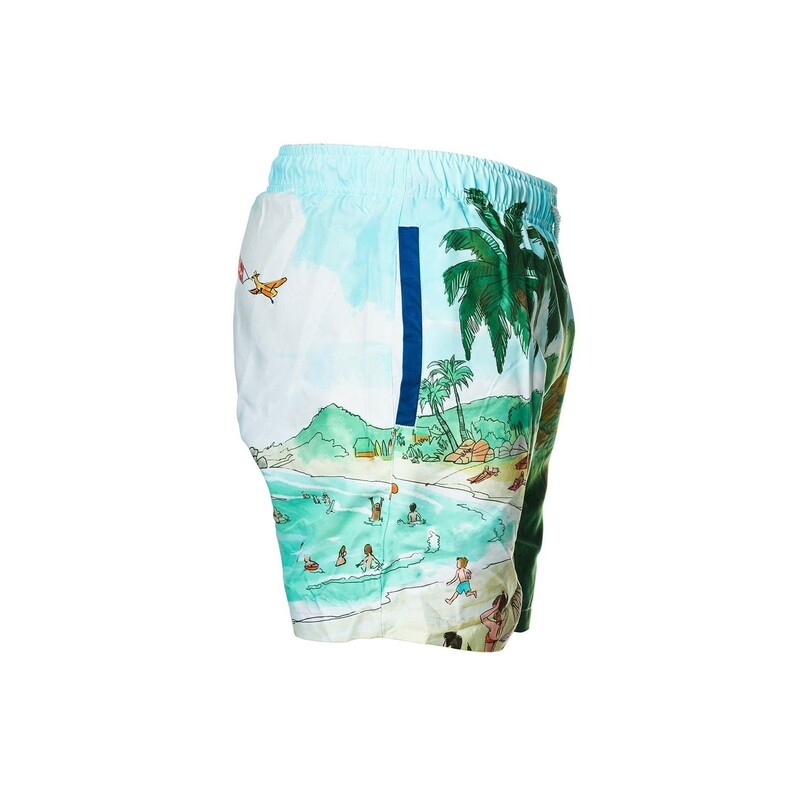 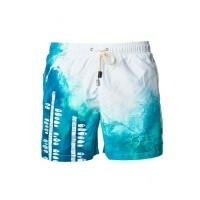 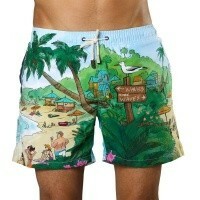 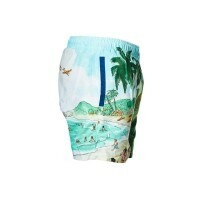 This pair of shorts is also available in adult sizes or as a father & son set.